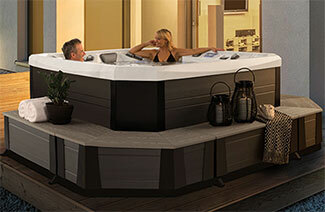 The Ultimate Hot Tub Experience!™ is a phrase that embraces every aspect of the Marquis® brand. This includes the customer experience, as you consider and buy your hot tub from a Marquis Dealer. The ownership experience, as you operate and maintain your hot tub over the years. 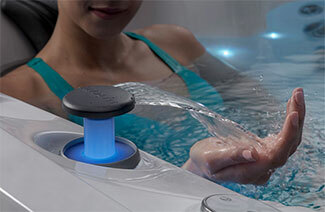 And the user experience, as you relax and enjoy time in your hot tub. What has made those experiences the ultimate? It is the special foundation of the company and the people behind it all. It is the Marquis story. Marquis® hot tubs are designed to provide you with The Ultimate Hot Tub Experience!™ Aside from refined beauty, each spa features advanced hydrotherapy and powerful performance. 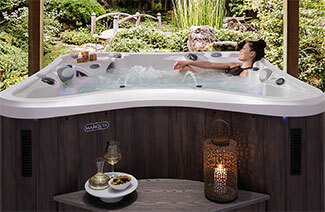 Whether you want all the unique features imaginable, or want to include the specific features you desire, you're sure to discover the perfect hot tub to fit your individual lifestyle! Why should you consider a Marquis hot tub above any other? Well, a Marquis is not just another box of hot water! As you do your research you'll find that everyone says their brand is the best – it can be a difficult process at best! Marquis will try to make it a little easier to sift through the clutter.